Lost! Can you help? A number of Chaffies have wandered off into the big wide world. They are playful and trusting, but not very worldly, so volunteers are needed to help them find their way back home. Some of the more adventurous Chaffies have trekked as far as the North Pole, while others are haunting a remote graveyard. 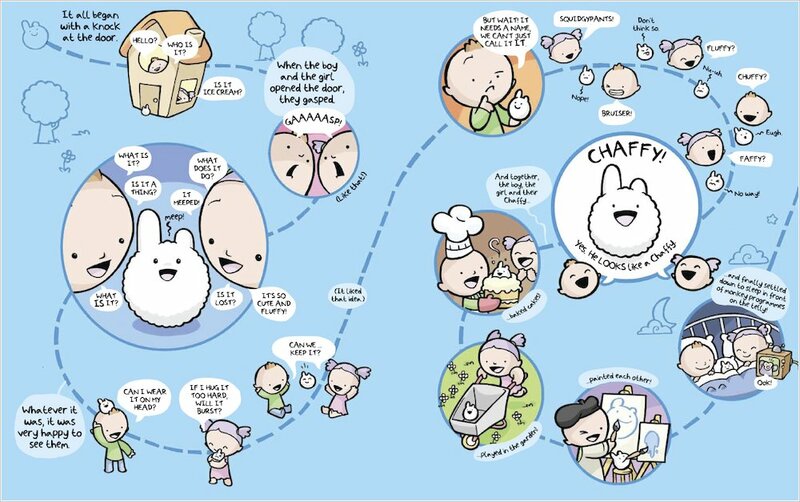 They are white, round and fluffy, with smiling faces and one-and-a-half ears. They like salad. They are very sweet, but also a bit stupid. Can you spot them among these action-packed scenes of ghosts, robots and dinosaurs? Please find them and bring them safely home! 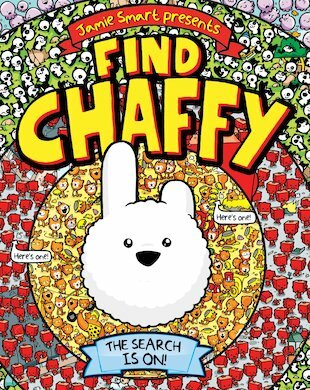 Incredible new talent Jamie Smart takes fans of Where’s Wally into the wonderful world of Chaffy, in a book which will have people seeking out Chaffies up and down the entire globe! Chaffy has lost his way home! 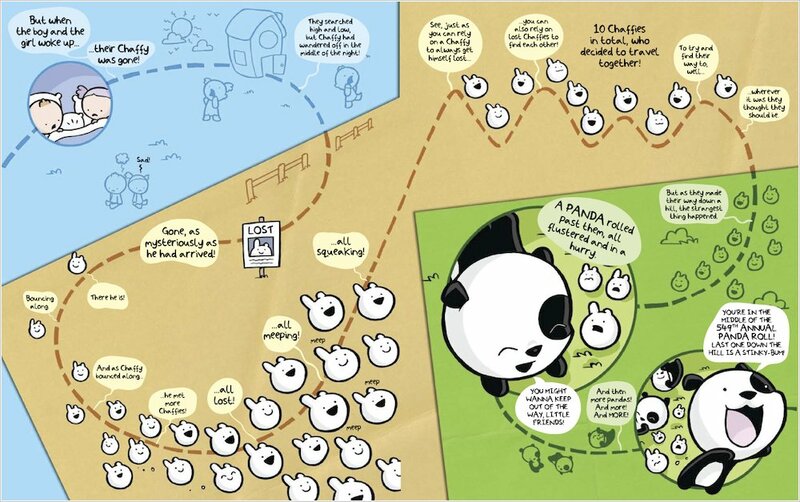 Can you help him to find the way? There are five Chaffys hiding in this scene. 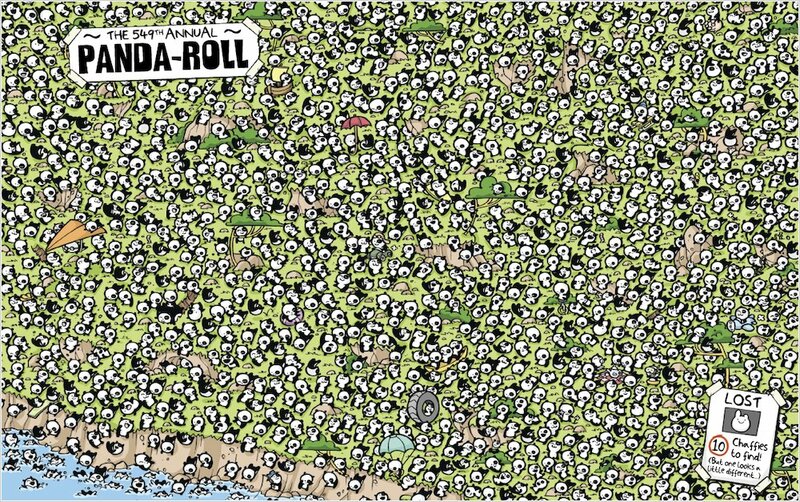 Can you find them all? 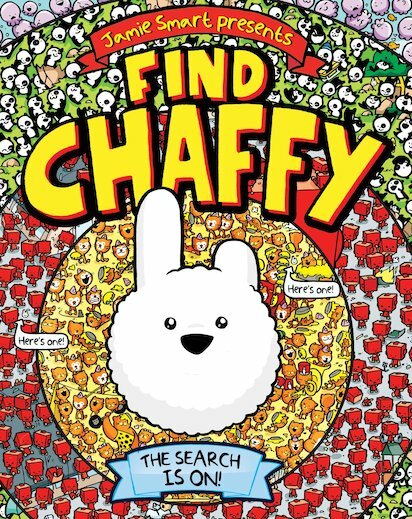 I think that Find Chaffy (Now)is a fantastic book,I have a chaffy toy myself and it is adorable(so is the illustration)!